What is the Memory Tracker for Windows? 1.) 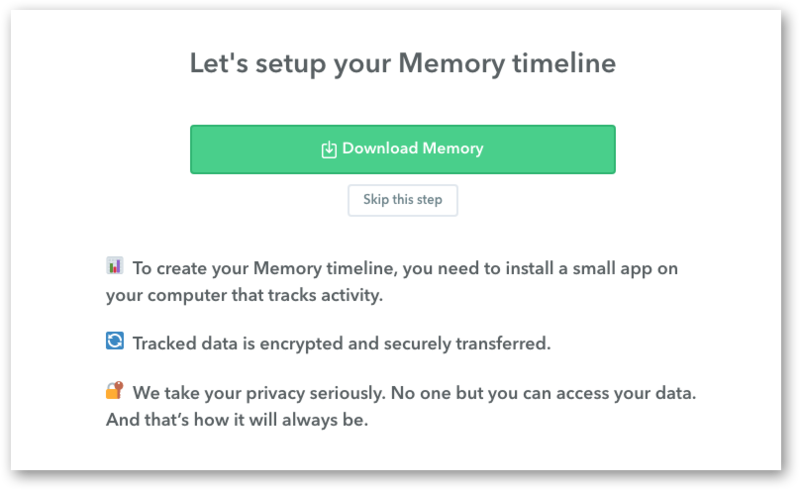 When creating your account for the first time, you'll be prompted to download the Memory Windows Tracker. Just click on the big, green Download Memory button. 2.) If you didn't install Memory when creating your account, don't worry. 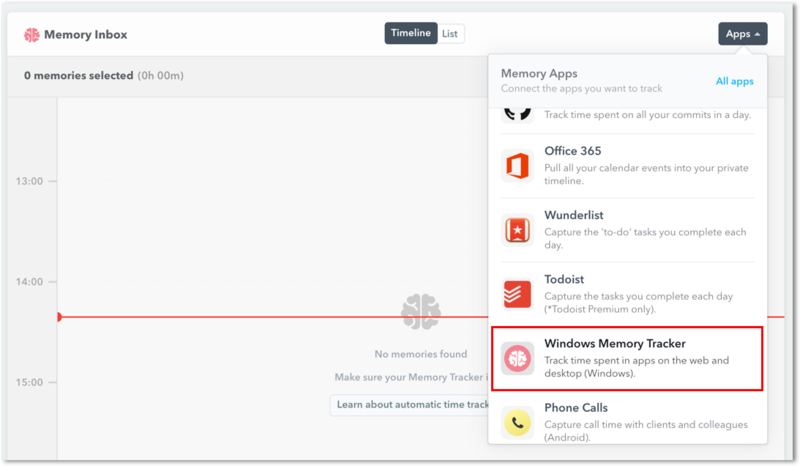 Just head to your Memory Timeline, click on the Memory Apps dropdown menu and select Memory Windows Tracker. Once you've downloaded the tracker, save the zip file. Then allow the Memory Tracker for Windows to run on your PC. 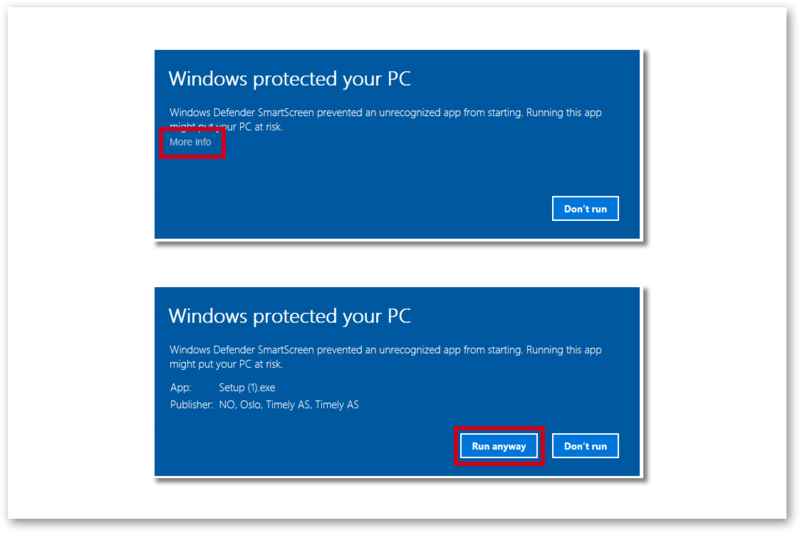 This message shows up because we haven't had any apps listed on Windows before, so Timely is marked as "unknown". With a few downloads and a bit of time passing, Windows accepts newbies as trusted developers. 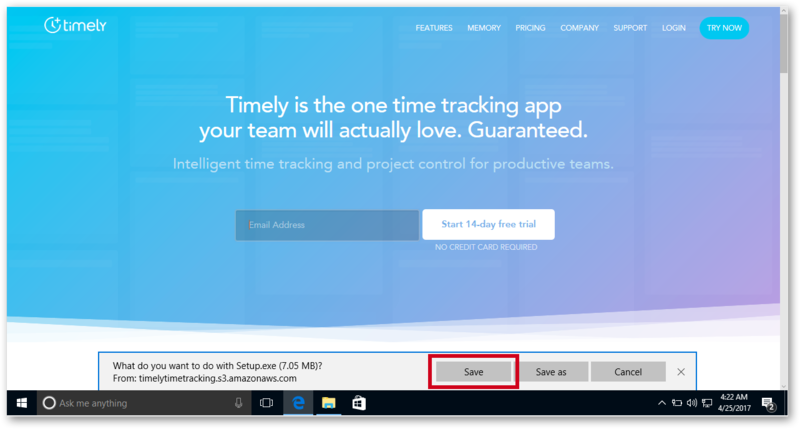 Allow Timely to make changes to your device by selecting "Yes". Now launch the Memory Tracker! It will show up in your menu bar, as well. Sign in with your Timely account e-mail and password. We think it's a really great idea to have this selected. 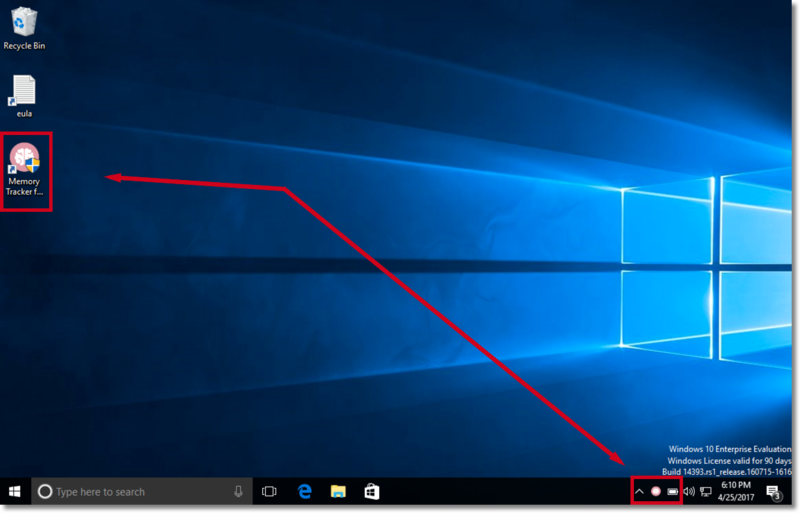 This way, you won't forget to turn your tracker on after shutting down your computer! What are the OS requirements for Windows? From Windows 8 and up! What apps work with Memory? Memory can track time spent in any web or desktop app every created. We also have integrations with Google Calendar, Office 365/Outlook Calendar, Gmail, Todoist, Trello, Asana, GitHub to capture more detail for your time sheets. Timely's GPS tracker for Android and iOS can also capture the time you spend in different locations. I'm in a large company and I'm having trouble downloading the Window tracker. What should I do? That should create a machine-wide installation, installing the app on log-in for all users. They can also run: Setup.exe --machine.